- Kalasagaram to mention a few. Geetha has won great appreciation as a performing artiste in countries like the USA, UAE, Norway, Spain and Sri Lanka with her solo & group performances at various prestigious Dance Festivals. 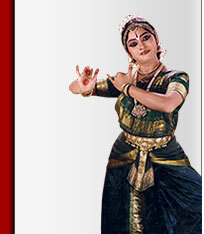 Geetha is an A-Grade Artiste of Doordarshan and also the Dept. of Culture & Tourism, India. Geetha has performed for the Doordarshan National Network – National Program of Dance, Doordarshan ‘SOUTH-INDIA HOOK-UP’ Program and she was also featured on several other channels such as – DD1 (‘Subah Savere’), DD8 SAPTAGIRI, Zee Tv, Etv 2 etc. She was also featured on International channels such as the Spanish television network, Rupavahini (Sri Lankan National TV), Ceylon Radio etc.